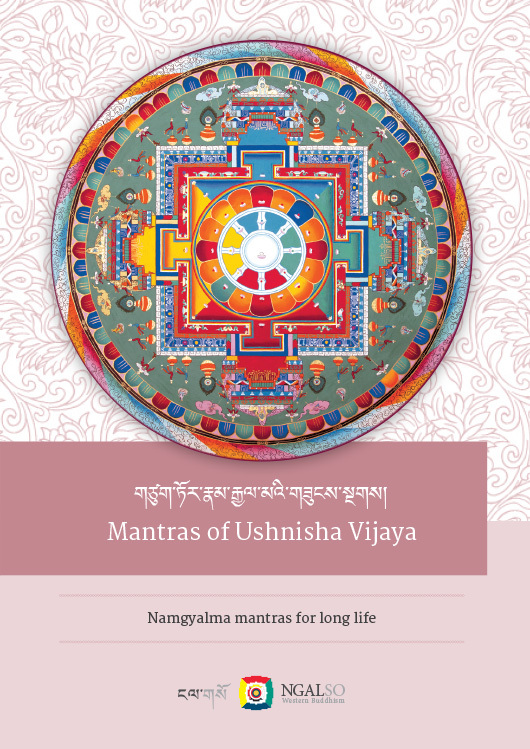 Ushnishavijaya (Tsug tor nam par gyal ma in Tibetan or Namgyalma in its commonly used form) is a special emanation of Supreme Healer Vairochana and is one of the three main long life deities of the Ganden Nyingyu tradition, the other two being White Tara and Amitayus. 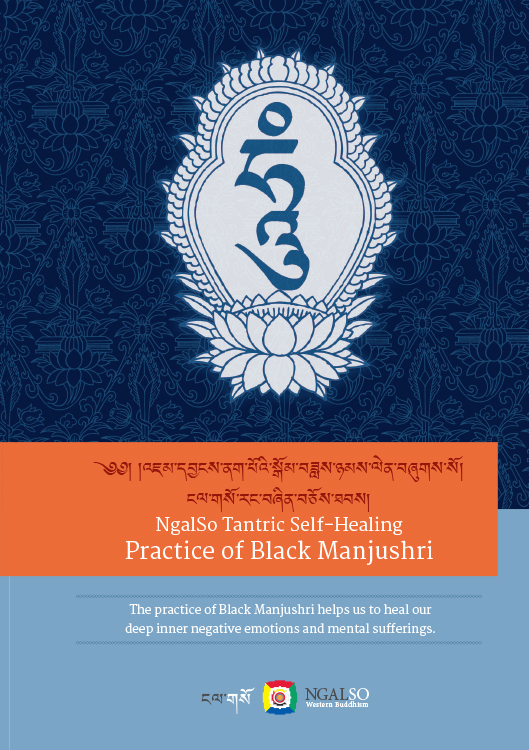 Black Manjushri is the wrathful healing form of Manjushri, the Buddha of Wisdom. 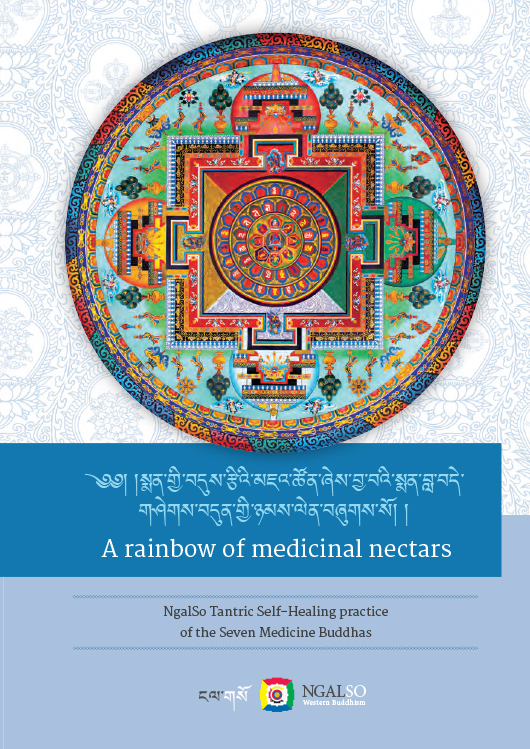 The The meditation practice of Black Manjushri helps us to heal our deep inner negative emotions and the mental sufferings that arise due to problems or sickness; it is also a powerful antidote against the harm and disturbances caused by negative astrological influences. 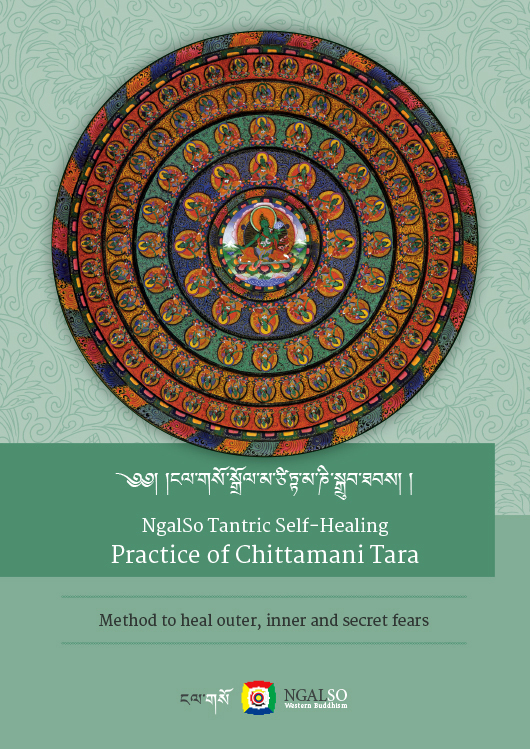 Tara is a female buddha or enlightened being who awakens the energies of fearlessness and enlightened action within us. 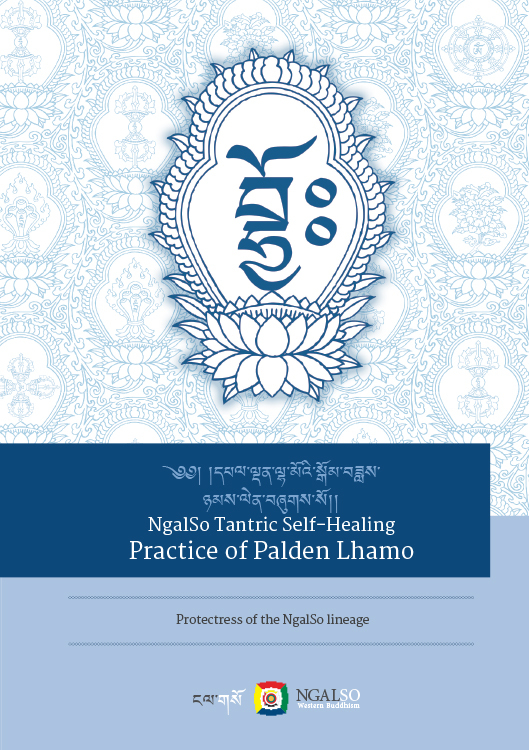 There are many forms of Tara the Liberator, all of which have specific healing powers. 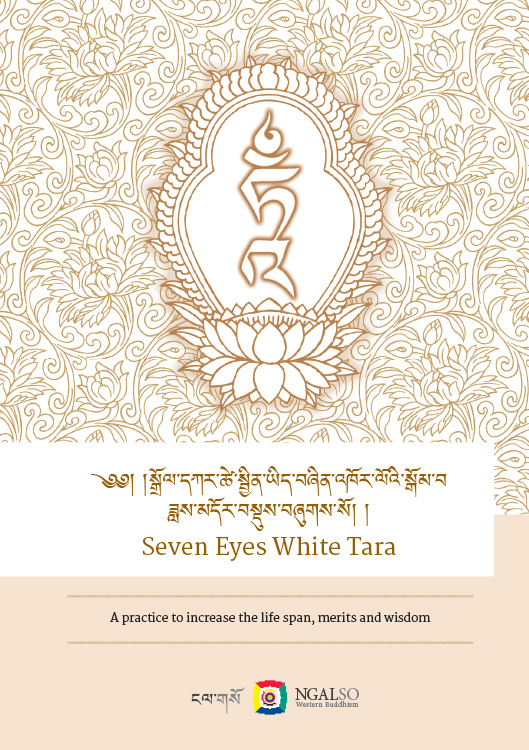 If we meditate on the form of Seven Eyes White Tara we will find that our life force or vitality, our merit or luck and our wisdom increase. 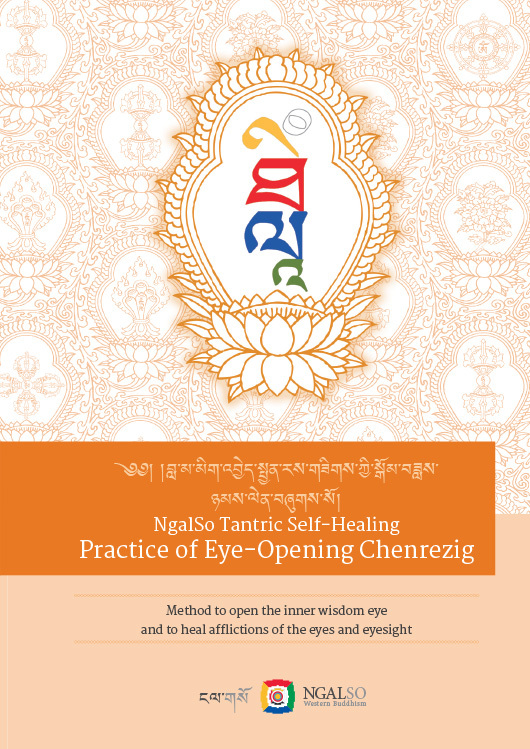 White Tara practice also makes us feel more peaceful and relaxed and so is a good antidote to the stressful life most of us live today. 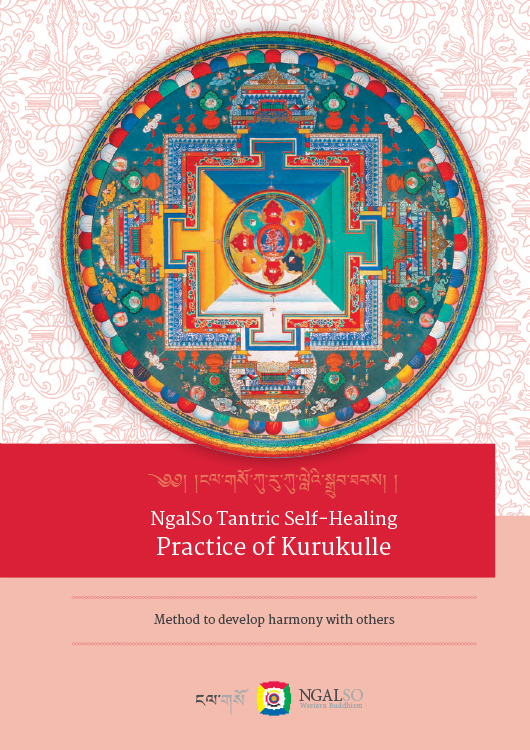 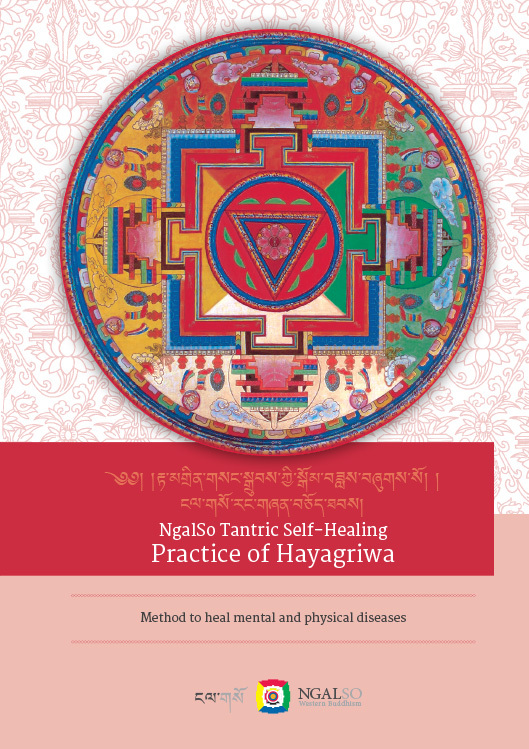 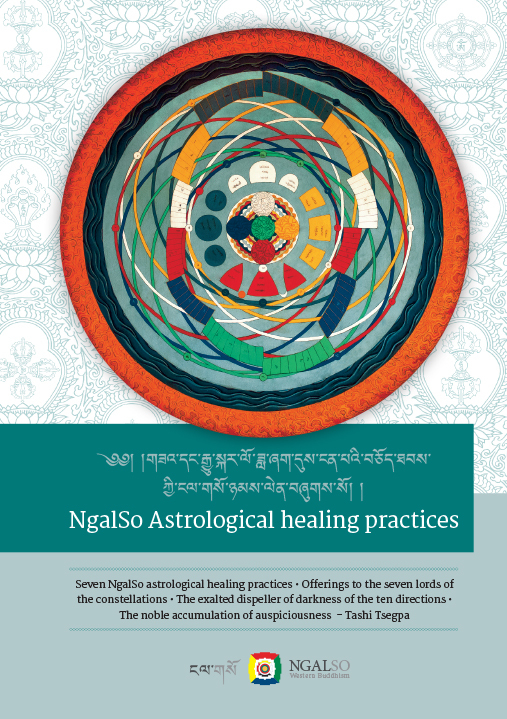 The booklet includes the Seven NgalSo Astrological Healing Practices composed by Lama Gangchen Rinpoche and three precious astrological protection sutras, taught directly by Buddha Skakyamuni. 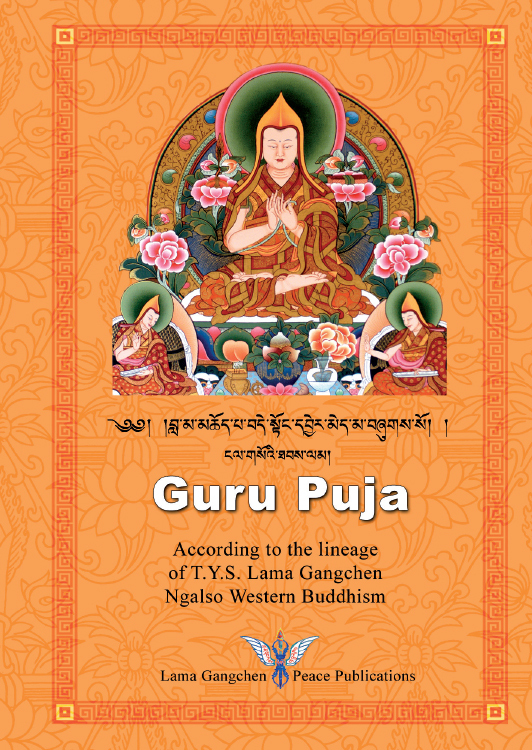 This volume includes the traditional Guru Puja by Panchen Lobsang Ciöky Gyaltsen integrated with the Long Life Prayer for Lama Gangchen, the Long Life Prayer for Lama Michel, the Homage to the Twenty One Taras, the Invocation to the Inner and World Peace Protector, the mantras of Maritse and Chenrezig and the Prayer of Lama Tsong Khapa. 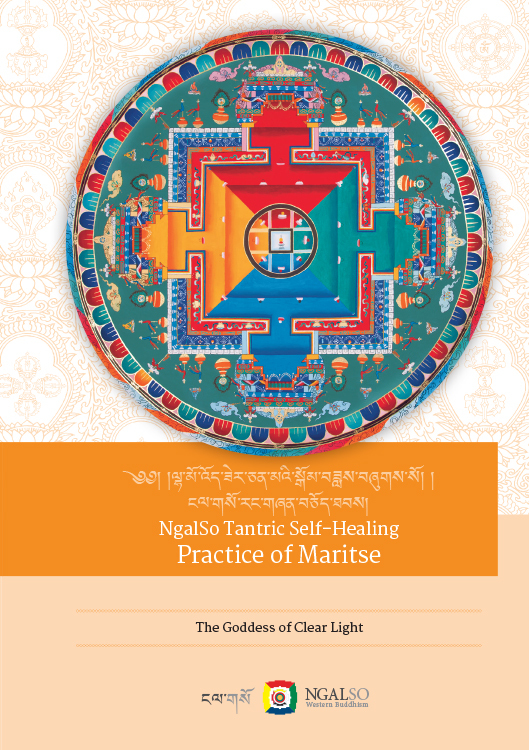 This is a special method of Tibetan Buddhism to dissipate interferences and to liberate all living beings from any form of fear or danger.This practice allows us to identify with the pure crystal energy of the female divinity called Tara, also known as the Liberator and the Swift Heroine, because of the swiftness that characterises her intervention in assisting all beings.